At MCRTC, we believe in team work and effort, and are constantly offering various opportunities to work with us, including employment opportunities, business opportunities, and partnership agreements. Our business opportunities and partnership agreements are designed for people who want to launch their own business within 3 to 6 months. 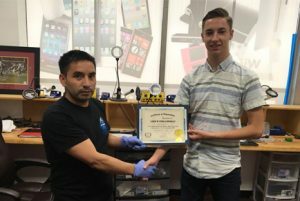 Interested in learning Cellphone Repairs? Want to become a certified technician? Interested in the opportunities to work with us? Please let us know your interests.